Crispy Parmesan Herb Potatoes make an excellent side dish, especially for weeknight meals. Leave it to an Irish Pub to re-purpose a potato dish. A recent visit to St. James Gate Irish Pub on Folly Beach introduced us to Tater Tot “Nachos.” What a concept! Who wouldn’t love crispy potatoes topped with good ol’ cheddar cheese, chili and jalapenos? Easy enough to recreate at home, the appetizer left us completely satisfied and reminiscing about our middle school days (Read: carrying our lunch trays through the cafeteria on tater tot day negotiating trades). Move over tortilla chip, there’s a new nacho vehicle in town! A local ginger bourbon + honey basil cocktail is garnished with fresh lime and a basil leaf. 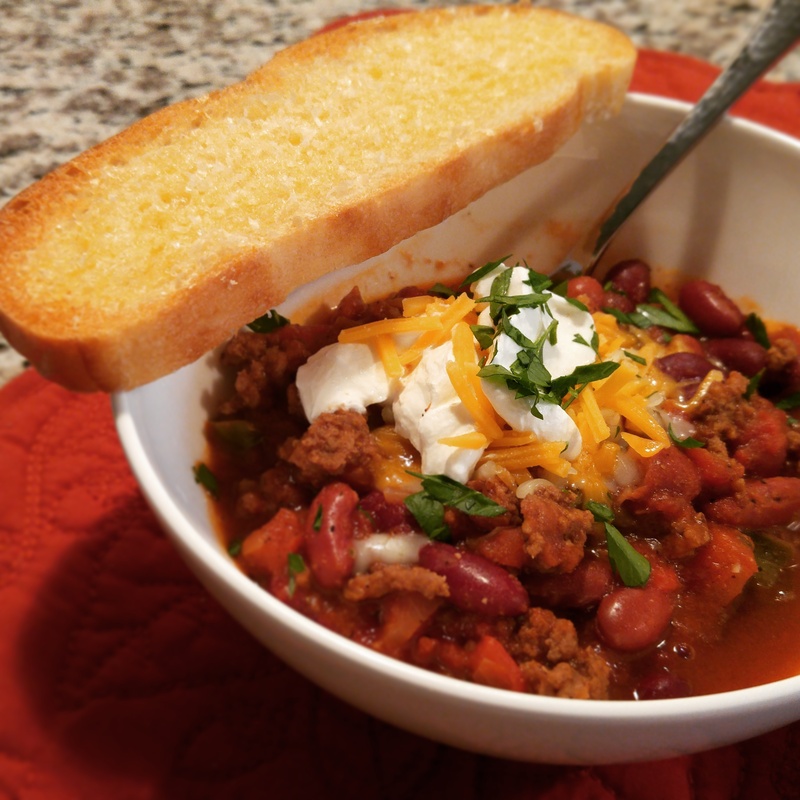 Get the recipe for my Beer Can Chili right here on the blog! Just a few days after our visit, I came across a half bag of frozen tater tots in the freezer at home, just begging to be cooked. As fate would have it, I had some of my leftover Beer Can Chili in the fridge too, as is accustom this time of year. In no time at all, I was serving up “nacho” ordinary appetizer. HA! Next time you have friends over, or if you’re just in the mood for a good snack, break out this recipe. With little effort and a Some Kinda Good return on your investment, you’ve got nothing to lose! For a rustic approach, I served them fresh from the oven on the baking sheet in which they were cooked. Bake tater tots according to package directions (I like mine extra crispy for the perfect crunch). Add about a teaspoon of salt (or more to taste) as soon as the tater tots come out of the oven. Top evenly with diced onion, leftover chili and cheese, then pop the tater tots back in the oven until cheese is hot and bubbly (about 5 minutes). Once cheese is melted, take them out of the oven and add desired toppings. I like sour cream, a sprinkle of fresh parsley to liven things up and a few jarred jalapenos to keep things spicy. Enjoy!